Win a set of 25 custom illustrated family notecards! Designed for the best of convenience, these cards are a parental go-to when communicating with your children’s teachers! Simply check the necessary block and fill in the appropriate blank, and you are done. 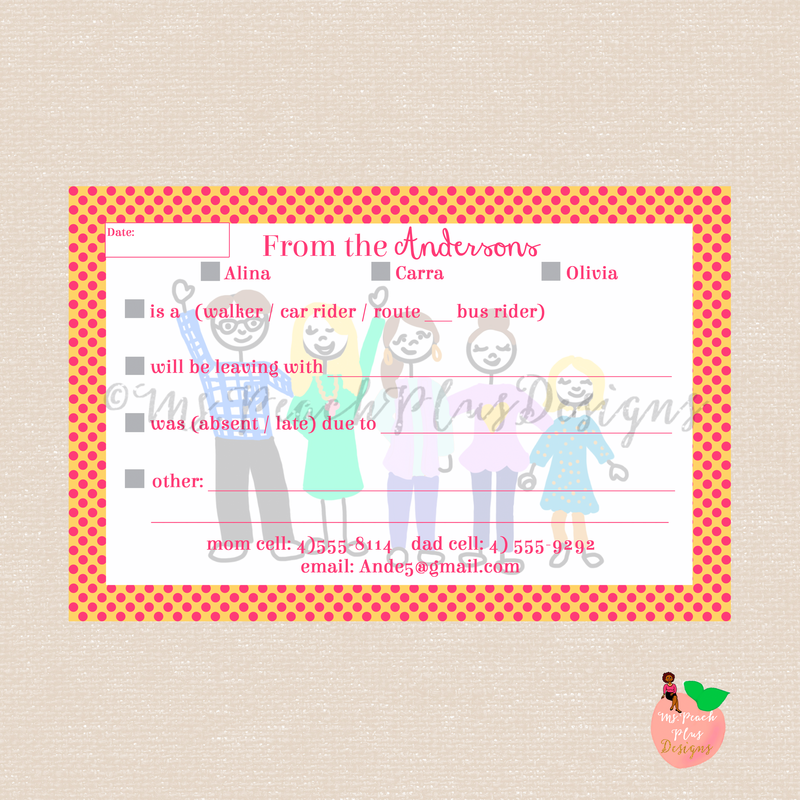 You also get a custom illustration of your family on your card! Want a set for yourself? Do you think a friend can benefit from this? Enter below! (Open to US residents only at this time!) Wishing you the very best of luck! The winner will be announced Thursday after verification! Great concept! These personalized notecards are very functional and cute. I can definitely use these to communicate with my child’s teacher.